Shelley is a champion of Canadian creation; recent hallmarks include the multimedia project Life Reflected, and three major new ballets in partnership with NAC Dance for Encount3rs. He and the NAC Orchestra have made four recordings with Montreal label Analekta: Life Reflected, Encount3rs, the JUNO-nominated New Worlds, and The Bounds of our Dreams. Yosuke Kawasaki currently serves as Concertmaster of the NAC Orchestra. His versatile musicianship allows him to pursue a career in orchestra, solo and chamber music. 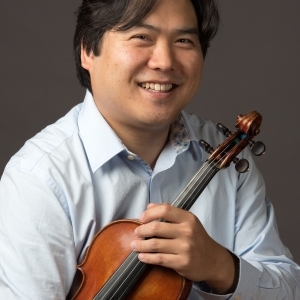 His orchestral career began with the Montgomery Symphony Orchestra and soon led to Mito Chamber Orchestra, Saito Kinen Orchestra and Japan Century Orchestra, all of which he led as Concertmaster. His solo and chamber music career spans five continents, and includes collaborations with artists such as Yo‑Yo Ma and Seiji Ozawa, and appearances in the world's most prestigious halls such as Carnegie Hall, Suntory Hall and The Royal Concertgebouw. Kawasaki currently plays with the ensembles Trio Ink and the Arkas String Quartet. He is Music Director of the Affinis Music Festival in Japan and also an Artistic Advisor to a brand new chamber music festival in Bulgaria called The Unbeaten Path. Yosuke Kawasaki began his violin studies at the age of six and was accepted into The Juilliard School Pre-College Division at the age of ten. He continued his education and graduated from The Juilliard School in 1998 under the tutorship of Dorothy DeLay, Hyo Kang, Felix Galimir and Joel Smirnoff. He is now an adjunct professor of violin at the University of Ottawa. Violinist Jessica Linnebach has distinguished herself among the next generation of Canadian classical artists being lauded on concert stages nationally and around the world. Since her soloist debut at the age of seven, she has appeared with major orchestras throughout North America, Europe and Asia. Acknowledging the importance of versatility in today's world, she has developed a reputation as one of those rare artists who has successfully built a multi-faceted career that encompasses solo, chamber and orchestral performances. Currently, she is a member of the Ironwood String Quartet and a Co-Artistic Director of the Classical Unbound Festival in Prince Edward County. Accepted to the world-renowned Curtis Institute of Music in Philadelphia at the age of ten, Linnebach remains one of the youngest ever Bachelor of Music graduates in the history of the school. At eighteen, she received her Master of Music degree from the Manhattan School of Music in New York City where she studied with Pinchas Zukerman and Patinka Kopec. 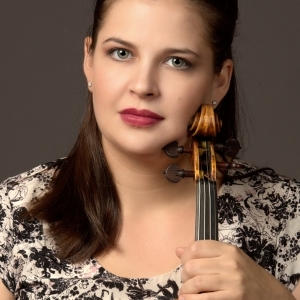 Jessica Linnebach has been a member of the NAC Orchestra since 2003 and was named Associate Concertmaster in April 2010. She plays a circa 1840 Jean-Baptiste Vuillaume (Guarnerius del Gesù 1737) violin. Her bows are crafted by Ron Forrester and Michael Vann. Described by the press as the “perfect example of a thinking musician” (Die Welt) and acclaimed for his interpretations of music from Bach to Boulez, David Fray continues to thrill audiences worldwide as a recitalist, soloist and chamber musician. His orchestral appearances have included the Royal Concertgebouw Orchestra, Academy of St Martin in the Fields and the Boston Symphony, and he has given recitals at Carnegie Hall and Lincoln Center. He appears regularly at major venues such as the Vienna Konzerthaus and London’s Wigmore Hall. 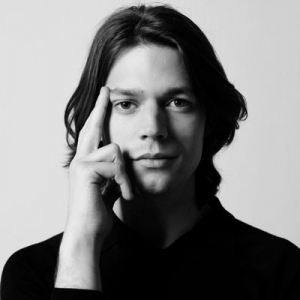 This season, the Théâtre des Champs Elysées presents a Bach cycle with David Fray performing the concerti for two, three and four pianos, Sonatas with Renaud Capuçon, and the Goldberg Variations. He returns to North America with the New York Philharmonic and makes his debut with the NAC Orchestra. In 2017, Fray released a CD of selected Chopin piano works. He holds multiple awards including the German Echo Klassik Prize for Instrumentalist of the Year and the Young Talent Award from the Ruhr Piano Festival. At the 2004 Montreal International Music Competition he received the prize for the best interpretation of a Canadian work. David Fray studied with Jacques Rouvier at the Conservatoire National Supérieur in Paris. David Fray appears by arrangement with IMG Artists.